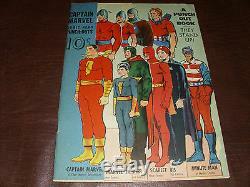 A vintage 1940's Fawcett Publications and many of there associated comic titles including Whiz Comics, Master Comics, America's Greatest Comics, Wow Comics, and Captain Marvel Adventures officially licensed Captain Marvel Comic Hero Punch-Out Book in Mint Condition, Unused, 100% completely intact, with both extremely light spine wear and aging, bright colors, no foxing, and with the lower of two spine staples pulling-through (exactly as seen in photos, please examine carefully). 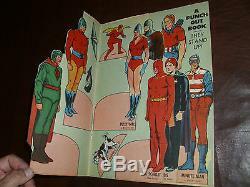 Extremely rare in this or any condition for that matter. 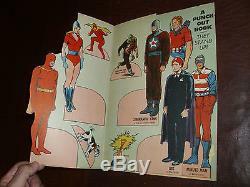 This is the only toy associated with some of these earlier and more obscure Comic Book Heroes upon which many other latter-day Super Heroes, and especially their costumes, have been based/pilfered. 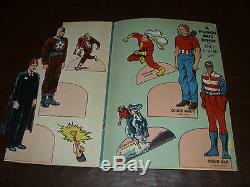 I have only come across one of these Unused/Mint in over 40+ years of Super Hero collecting. 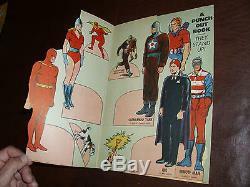 Any questions never hesitate to contact me. 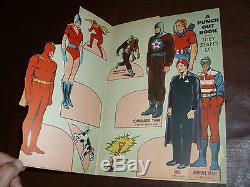 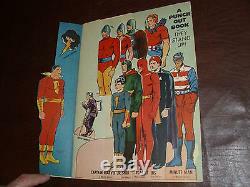 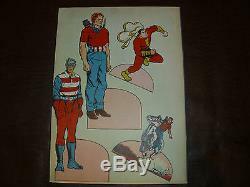 The item "Vintage Captain Marvel Super Hero Punch Out Book Fawcett Whiz Comics Rare 1940's" is in sale since Friday, September 9, 2016. 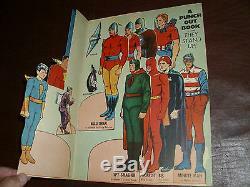 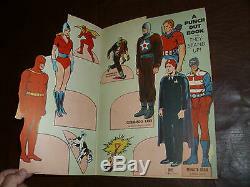 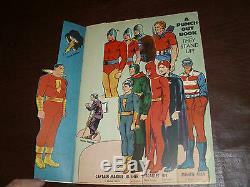 This item is in the category "Collectibles\Comics\Golden Age (1938-55)\Superhero". 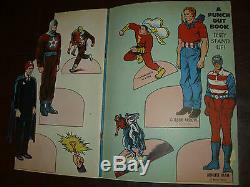 The seller is "pbjk87" and is located in Gilbert, Arizona.